Apparently I’m not the only one who is a big fan of Tulum as this image of the beach by the ruins was the most liked image in our daily “beach pic of the day” posts. With almost 250 “likes,” 16 comments and 27 shares, the post was seen by over 6000 people, not bad for a Tuesday morning post. 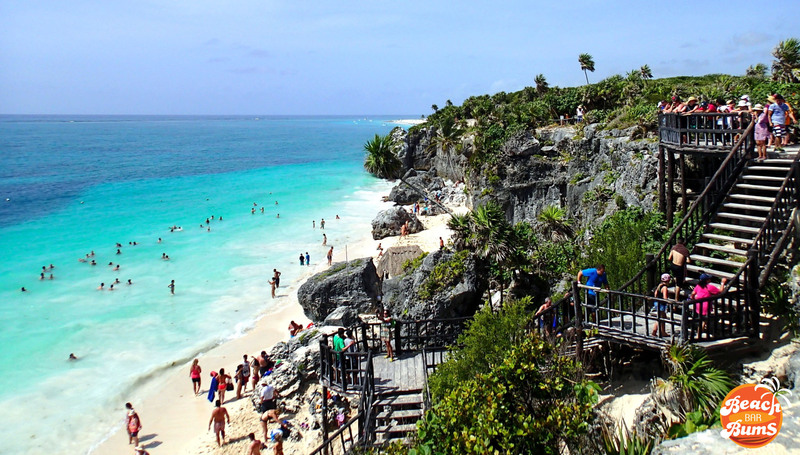 I’ll be sharing more on Tulum, including which beach bars to visit, in an upcoming article. If you’re going there in the next couple months, make sure and check out the Mulberry Project pop up bar. The Mulberry Project is a New York City cocktail bar that created their popup bar at the La Zebra hotel in resort for this winter. They’ll be packing up their bags mid-April, however, so belly up to this beach bar while you can!